I collect old postcards of Melrose, and particularly like the photographic ones that show major events in the town in the past, such as this one. 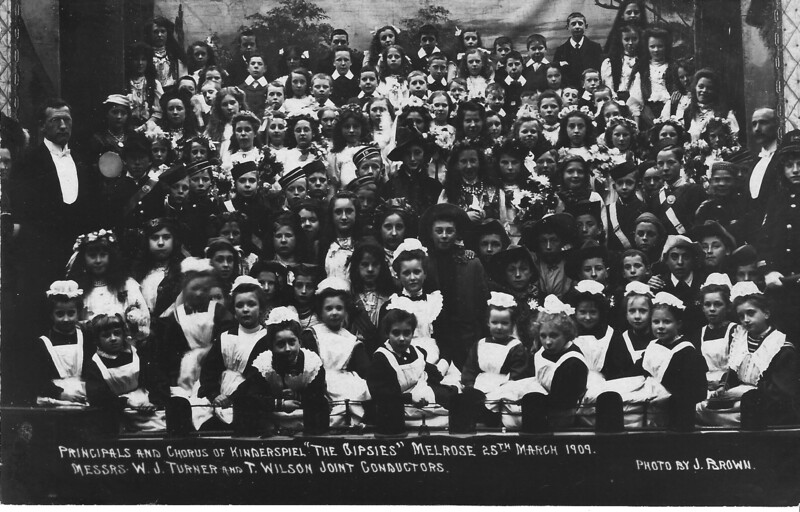 I’ve just got hold of another one, showing a large group of children at Melrose on 25th March 1909. They are described as the principals and chorus of Kinderspiel “The Gipsies”. I wonder if anyone can spot their relatives in there. My grandfather wasn’t born until the following year, but he had older cousins, on both sides of his family, who could be there. Click on the picture to see a larger version of it.